Black Box generator 3100w - FREE Shipping! Black Box generators are known for their reliability and ease of starting. Quality construction and materials help to keep noise levels low. A clean power output, with very low total harmonic distortion, safely runs sensitive electronics. Hardworking & Reliable. Just Like You. Black Box generators are the perfect match for Twister trimmers. They pack all the power you need with the reliability you expect. 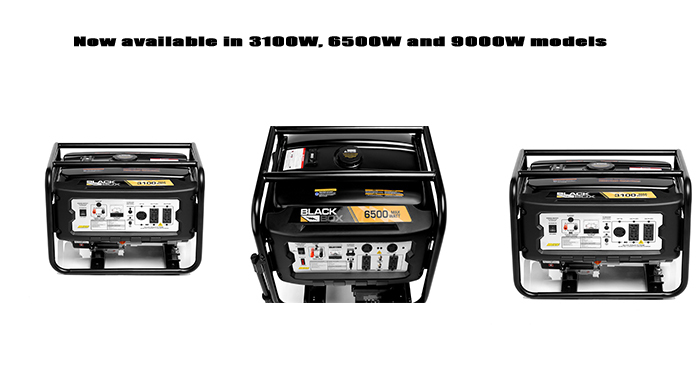 And all Black Box generators come with a two-year warranty, so you’re covered no matter what. Everything you need, nothing you don’t. That was our goal when first bringing Black Box generators to market. By following this maxim, we’ve been able to keep quality up and costs down, ensuring Black Box’s are not only reliable but affordable.